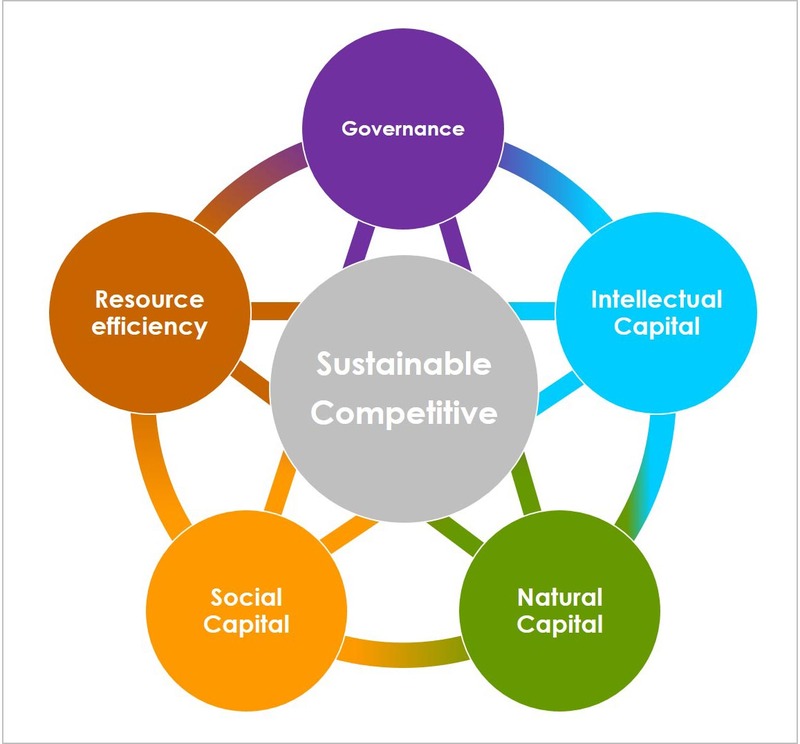 The Sustainable Competitiveness model is developed with a view of the fundamentals that shape the current and the future state (i.e. competitiveness) of a nation-economy. It is based on a competitiveness model that incorporates all relevant pillars of sustained growth and wealth creation of a nation – natural capital availability, resource efficiency, social cohesion, government-led development direction, and innovation and business capabilities. The Sustainable Competitiveness Index also integrates data trends over time to allow for a better expression of future development potential. Sustainable competitiveness means that current wealth levels are not in danger of being reduced or diminished through over-exploitation of resources (i.e. natural and human resources), the lack of innovative edge required to compete in the globalised markets (i.e. education), or the discrimination, marginalisation or exploitation of segments of a society. The Global Sustainable Competitiveness Index is a measurement for social, environmental and economic development. Measuring wealth, and prosperity – inclusively.